A mix of high tech gadgetry and old world tradition ensure secrecy as Vatican enforces tight security in preparation for Tuesday’s papal conclave, including a scrambling device under Michelangelo’s fresco and bug sweepers in the Sistine Chapel. Secrecy has always been paramount to the papal conclave, where Roman Catholic cardinals will vote on who is to become the next pope. 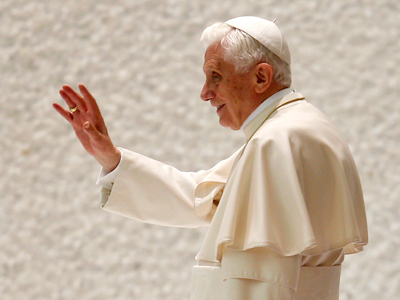 Their latest meeting comes after Pope Benedict shocked the world with his surprise resignation on February 28th 2013. 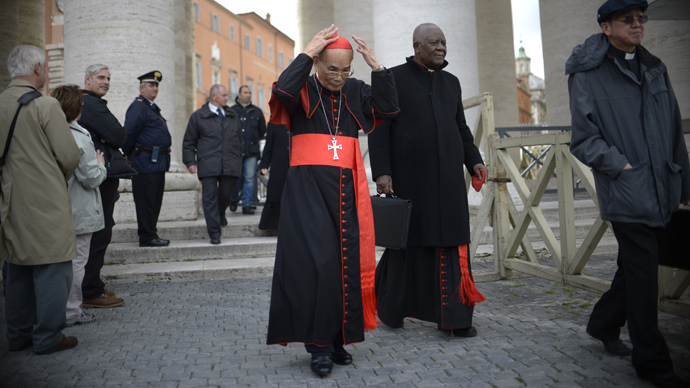 During this year’s vote security is tighter than ever, jamming devices will be used in the Sistine Chapel inside the Vatican and at nearby guest houses at Santa Marta where the 115 cardinals will sleep during the conclave, it was reported by local media. A special scrambling device – straight out of the pages of a John Le Carre novel – will be installed under Michelangelo’s Fresco which will block any attempt to phone or text the outside world. Bug sweepers will also ensure the Sistine chapel is secure from unwanted eavesdroppers. The cardinals will even be bussed the 750 yards from Santa Marta to the Sistine chapel, just in case they should get the urge to talk to anyone they shouldn’t. The cardinals will also be banned from using any computers, so email and twitter are also firmly out of bounds. 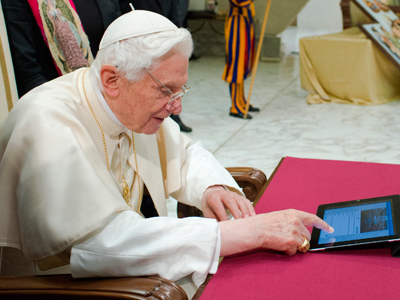 “In this electronic age, I worry some cardinals may go into ipad or twitter withdrawal,” said Sister Mary Ann Walsh, media relations director for the United States Conference of Catholic Bishops, in a blog post. But it’s not all down to high tech gadgets. A number of traditions will be strictly followed to ensure that the ballot is secret. The cardinals must draw lots to find out where they are sitting during the vote and once everyone has cast their vote the votes are counted while at the same time a needle and thread are passed through the ballots, the thread is then knotted at the end of the count to ensure everything remains fraud free. Latin is used by the Roman Catholic administrators, including at the start of voting when they announce “extra omens!” which means ‘everybody [except cardinals] out’! The cardinals must all swear an oath of secrecy and once a pope is chosen white smoke will be seen coming out of the Vatican’s chimney. But even this centuries old tradition has not been immune to high-tech shenanigans. In the case of no pope having been chosen, a chemical is used to make sure the smoke comes out black, but it doesn’t always work and last time the smoke came out gray. During the last conclave in which pope Benedict was elected in April 2005, notes from one of the cardinals were leaked in which it was found out that an Argentine Jesuit Cardinal was reportedly runner up to Pope Benedict. While a German ‘bishop’, Ralph Napierski, managed to get past Vatican security and mingled with actual cardinals before his bogus cassock and fedora gave him away.